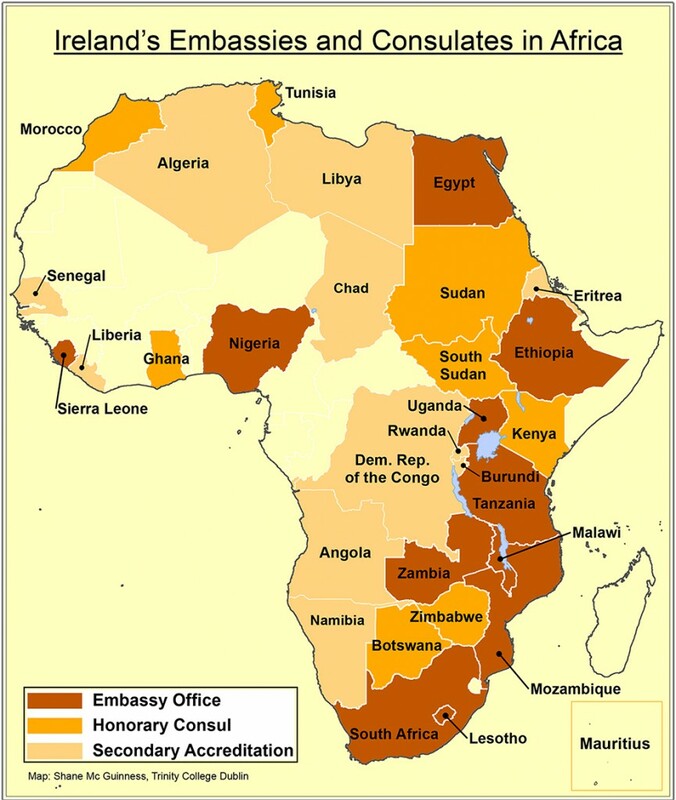 This is a map of Africa which shows Irish Embassies, Consulates and Secondary Accreditation around the continent marked in different colours to differentiate them. It is a useful map particularly for Irish companies who are looking for business opportunities in Africa. Geoscience Ireland members have a wealth of experience in Africa and some of them have offices in and around the continent. Examples of projects by Geoscience Ireland members include The Morogoro Water Supply Scheme in Tanzania and The Lesotho Highlands Water Project. You can check all Geoscience Ireland Case Studies by clicking the Case Studies link on the website.